Our loofah scrubs are made with the loofahs grown on our farm. We surround the loofah with a wonderful citrus rosemary soap. 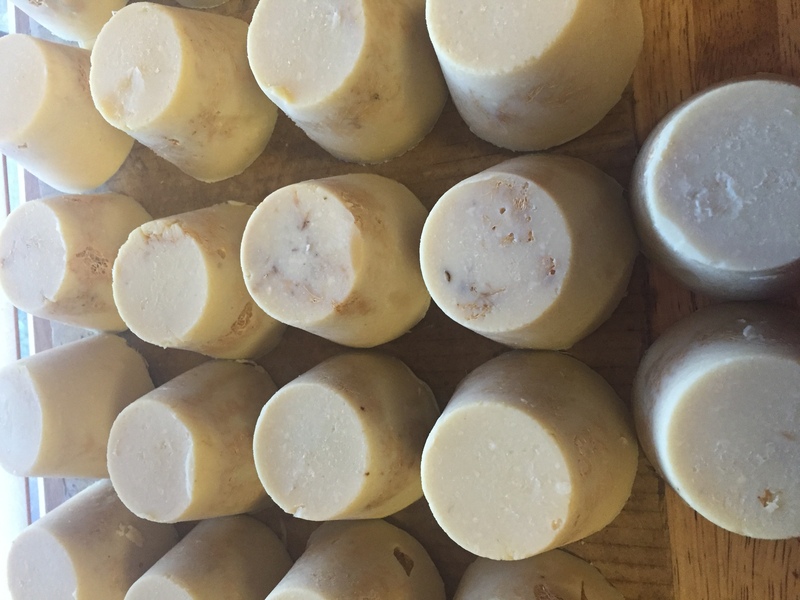 The soap is made with shea and mango butters, olive, coconut, sunflower and castor oils. Use it and enjoy. Your skin will love it!